I like to think that I’m a nice guy with good intentions. I’m not perfect of course. Once I absentmindedly fed a nail to a seagull. I felt pretty bad afterwards… and I’m sure it did too! So when I started a business, things got really strange. I created Choose To Change because I wanted to help people to change their health and their lives in the quickest and most effective ways possible. I’d already learned and used some powerful and life changing techniques. I was getting great results and friends and colleagues were suggesting that I do it full time. So I did some business courses and got really excited. I could see how this could lead to an amazing life. The numbers worked (in theory) and I created my business so I could do both of my passions: teaching groups and working in-depth with individual sessions. It all looked great… but then came the networking and marketing part. For a few months I spoke to hundreds of people. Some were really interested and we had an amazing chat. Some gave me astounding support and at times showed more belief in me than I did in myself. But the majority of people that I talked to were a bit put off. Many genuinely didn’t understand what I do. Many didn’t believe that the techniques could work. Some just thought I looked too young and had no idea about life. It came to a stage when I felt an uncomfortable cringe when talking about what I do and ‘attempting to market my business’. It wasn’t fun to have dedicated my life to serving others, put my engineering degree on the shelf and let my wallet drain dry, only to feel like an incompetent pest to the people I wanted to help. I felt worse each time it happened and people picked up on my doubt straight away. When I explained what I do, I knew that many thought that I’d fail. No way would they pass on my details, let alone recommend me. What a conundrum. How could I help people if I couldn’t get them in to see me? Fortunately, an amazing friend (you know who you are!) lent me a book a few months earlier. Somehow she knew that I’d need it. The book is called ‘The Go-Giver’ and was written by Bob Burg and John David Mann. I picked it up one day and read it over a couple of late nights. It got me back to my original intention; to contribute to people’s lives. I want to be able to walk into a room, anywhere, anytime and with anyone, and change their lives within five minutes. In order to do this, I set myself a challenge. And so I began. Straight away I felt amazing and they felt amazing. I will share a few experiences in the comments section below. I won’t post them all because most of them will be personal and I’d rather prioritize my time and energy towards helping people rather than just talking about it. 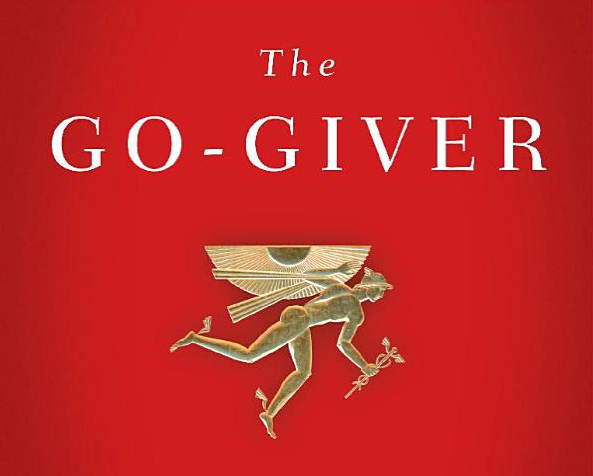 If you’ve read this far, the ‘go-giver’ approach obviously has a resonance with you, so I challenge you to give it a go and not enjoy it! You are invited to post occasions of your own when you have put yourself out there and something amazing boomeranged back.